The U.S.S. 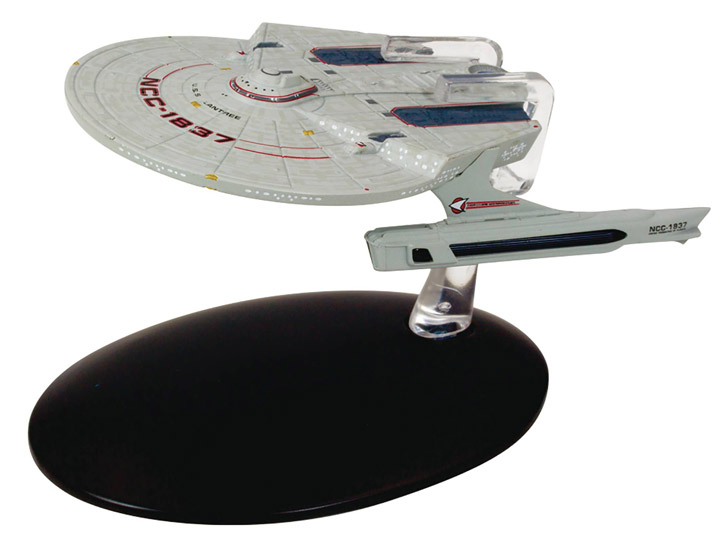 Lantree NCC-1837 was a 23rd century Federation Miranda-class starship operated by Starfleet. The starship was commanded by Captain L. Isao Telaka with 26 healthy crewmembers, assigned to Sector Gamma 7. The Enterprise-D later found the Lantree adrift in space after answering its distress call to find that the whole crew fell victim to a mysterious aging disease. It became clear that the disease was in fact highly contagious and couldn't be cured, which resulted in the destruction of the U.S.S. Lantree to prevent further transmission.